the land owner and a way to contact him. contacted Tom Pearson to see if he has any info. to the kindness of writer Mrs. Norinne Holman. Ellison Kasner, P.O. Box 436, Rosebud, TX.. No tel. shown. 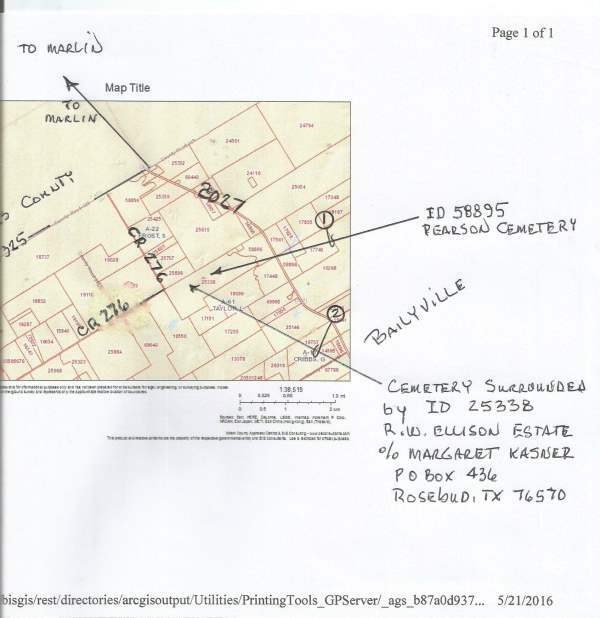 Directory assistance for Rosebud, TX. no help. this information will assist you in gaining access to the cemetery and that you may pay your respects. 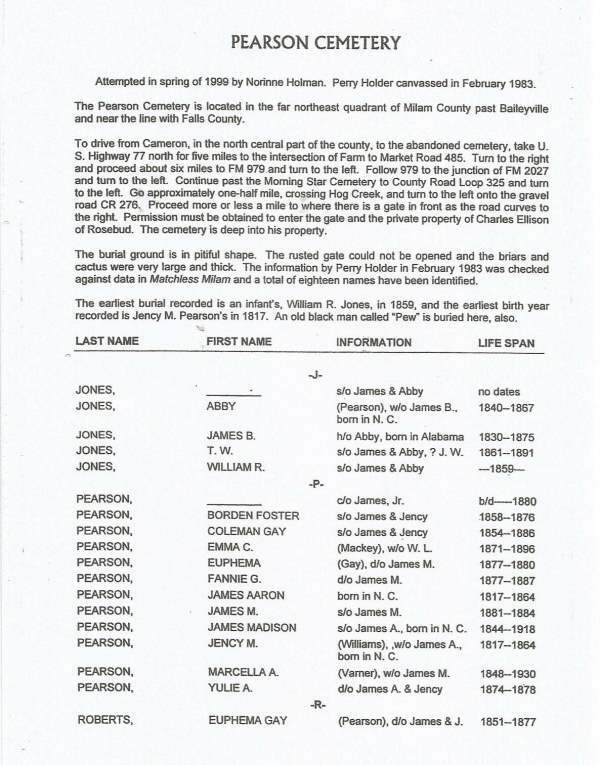 James Madison Pearson are Confederate veterans. J.M. served in the 12th Regiment, Texas Infantry, and J.A. was Co. B, First Texas Cavalry. I will write Mrs. Kasner and see if she has any objection to me photographing the site. contacts for you. 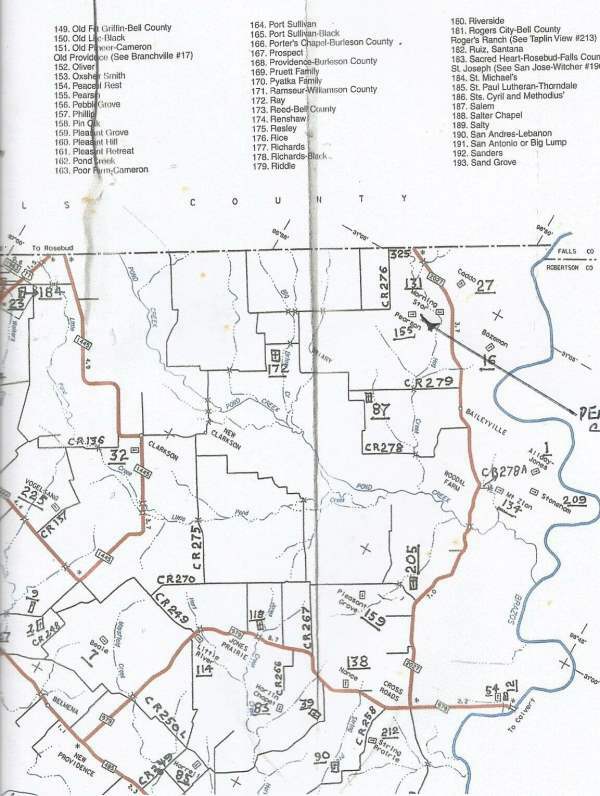 This general area of Milam County is predominantly ranching/ cattle and some farming. Ms.
adjoining property owner might have it leased. This is very common in Milam County.